Comment: I am purchasing a short sale home. I believe it does have mold although I have been told it is "Mildew" and not "Mold". I have pictures of it that I could send. The house is 2100 square feet but that option wasn't available on home advisor. I would like an inspection and mold testing in the laundry area. Comment: We are renovating our kitchen and the contractor is doing things he shouldnât like reusing material, using old materials from previous jobs, not properly insulating etc. 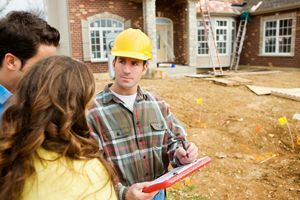 we are looking for a home inspector that can stay on top of the contractor and make sure he is doing the correct work. Comment: My grandma passed away and we are looking into whether or not we should buy or sell her home. Wanted a professional to view it first. Edgewater Home Inspectors are rated 4.77 out of 5 based on 2,345 reviews of 45 pros. Not Looking for Home Inspection Contractors in Edgewater, MD?